According to an ancient notion - ‘All that glitters is not gold’. But when it comes to Amrapali Gold, this proverb turns upside down. Because here, everything that glitters is, unmistakably, gold! It is said that glitter, sparkle and confetti are the perfect apparels to win the heart of any female. These shiny beams never fail to bring a smile on any feminine face. With AmrapaliOnline gold, you can rest assured to never disappoint her by gifting her favourite glittery thing - Gold and silver. The gold and silver coins that Amrapali offers are all carved to the perfection with pure gold and silver. 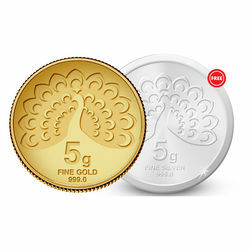 These coins sport enthralling designs and make for the safest investment option. 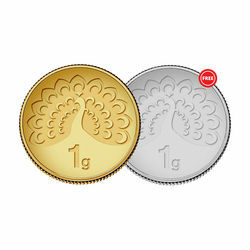 And hence, to strengthen your relation which better way can it be than these pretty coins!